Graft Cider has had, to put it mildly, a killer year so far. In the spring, Graft rapidly expanded its distribution footprint throughout the East Coast, introducing its superb sour ciders to audiences far beyond its Hudson Valley, New York hometown of Newburgh. The Graft team celebrated their second birthday with a killer party in October, and then released Native, a barrel-aged, spontaneously fermented wild cider made with Hudson Valley apples. Graft plans to release four of these babies a year — the limited-edition boxes can be purchased separately or as a subscription — each one filled with very cool things. The Winter Box, of which only 100 were made, contains a 5-panel flannel camp hat, a 3-color screen printed poster, a thin-tipped Sharpie pen, Book of Nomad stickers, 2 Moleskin journals, 2 beautiful glasses and a pair of socks! 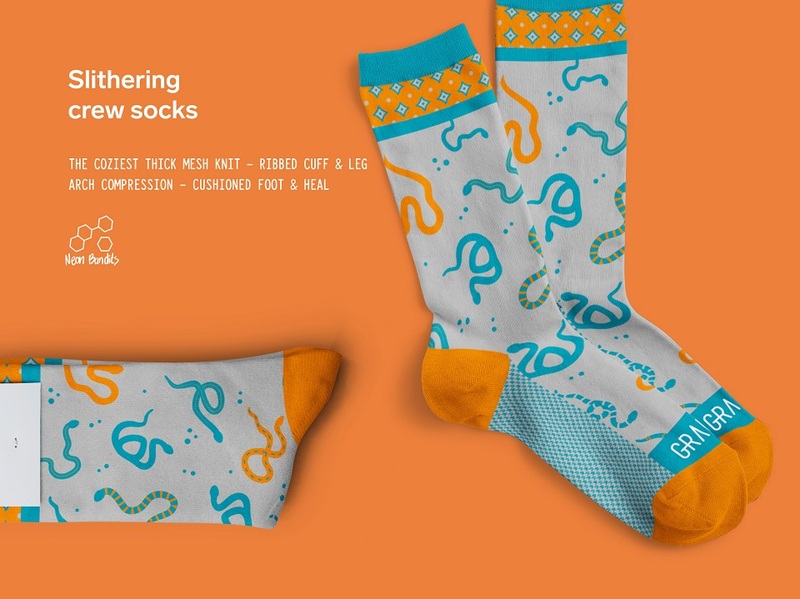 We didn’t know we needed Graft-branded socks, but, it turns out we need them so bad. All of these high-quality items feature images and icons that Graft fans will recognize. 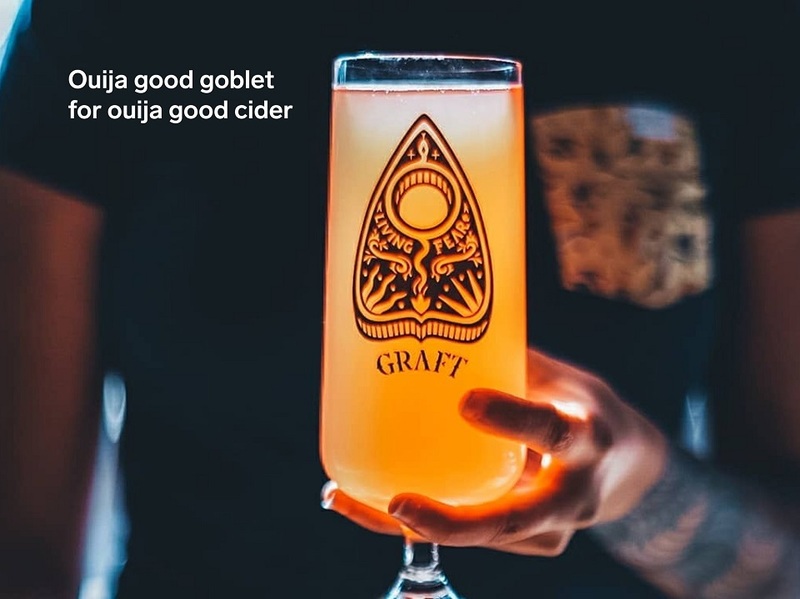 Lots of cider companies make t-shirts, glassware and other items with their logos and branding, but we were curious why Graft went the extra mile with all of this awesome stuff. Sae Kenney, Graft’s media & events director tells us that Graft enthusiasts continuously ask for hats, shirts, and glassware, and the Winter Box was a creative solution. She wouldn’t spill the beans on what to expect in Graft’s Spring Box, which will be out in March 2019, but Kenney did let us know that it will be based off the next Book of Nomad series, and that winter items such as a wool hat and ski socks will be swapped out for more “spring-friendly” items. Keep an eye on Graft’s Instagram as spring rolls around for a sneak peek. 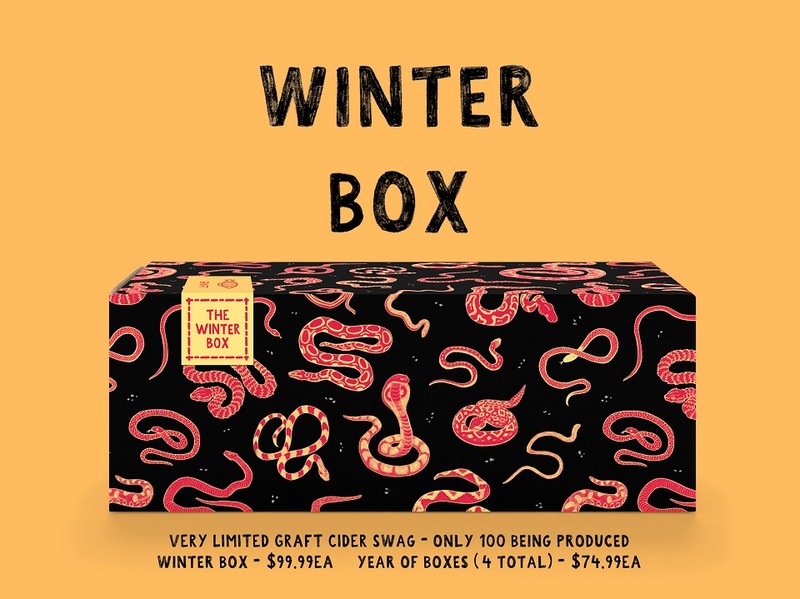 In the meantime, if you’re loving the idea of the Graft Winter Box, don’t delay! They’re sure to sell out quickly, especially with the holidays ahead. See here for more info, and be sure to tag us in any social media snaps you take with your sweet new Graft swag.